Plassan Ed., Paris, 5: 486. Type-species: by monotypy as Cyprinodon variegatus (Lacepède, 1803). Type locality: Charles-Town bay (today Charleston bay), southern Carolina state, U.S.A.
Three new Pupfish Species, Cyprinodon (Teleostei, Cyprinodontidae), from Chihuahua, Mexico, and Arizona, USA. Copeia, (3): 697, fig. 4. 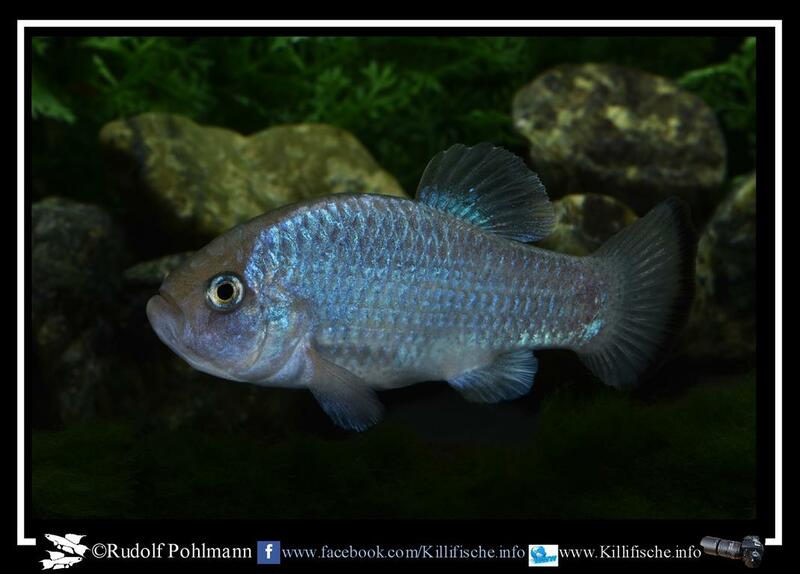 Type locality: Yepomera, Rio Papigochic, Chihuahua state, alt. 2048 m, northern Mexico. 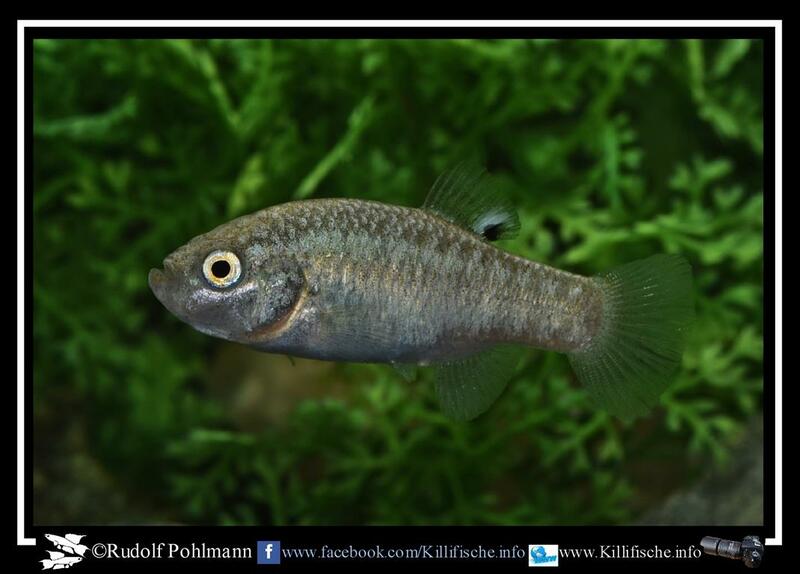 Four new Pupfishes of the genus Cyprinodon from Mexico, with a Key to the C. eximius complex. Bull. Southern Calif. Acad. Sci., 75: 72, fig. 1D. Type locality: El Potosí, Nuevo León, Mexico. 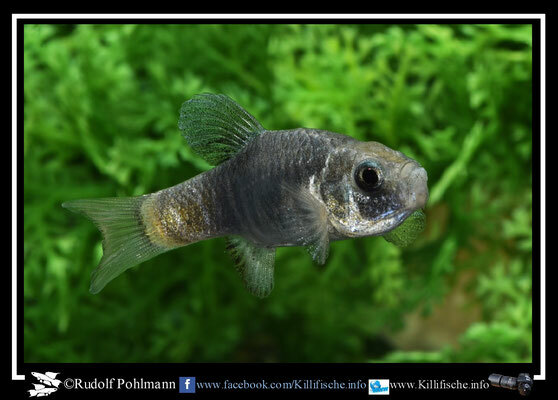 Three new Pupfish Species, Cyprinodon (Teleostei, Cyprinodontidae), from Chihuahua, Mexico, and Arizona, USA. Copeia, (3): 699, fig. 5. Type locality: Monkey Spring, tributary to Santa Cruz river, 12 km north-northeast Patagonia, Santa Cruz county, Arizona state, (southwestern) USA. 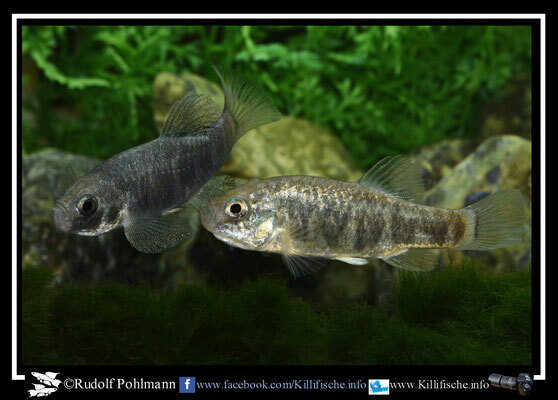 Two new Fishes of the Genus Cyprinodon from the Cuatro Cienegas Basin, Coahuila, Mexico. Occasional Papers Mus. Zool. Univ. Mich., 659: 7, fig. 2. Type locality: south of Cuatro Ciénegas (vicinity of rio Mesquites, subseq. ), Coahuila state, Mexico. Una nueva Especie de Peces Cyprinodintiformes de la Laguna de Chichankanab, Quintana Roo. Rev. Soc. Mex. Hist. Nat., 10 (1-4): 236, fig. 1. Type locality: laguna Chichancanab, Quintana Roo, Mexico. Two new Fishes of the Genus Cyprinodon from the Cuatro Cienegas Basin, Coahuila, Mexico. Occasional Papers Mus. Zool. Univ. Mich., 659: 1, fig. 1. Type locality: río Puente Colorado, ca. 11 km south of Cuatro Ciénegas, Río Mesquites system, Coahuila state, Mexico. Cyprinodon bobmilleri: New Species of Pupfish from Nuevo Leon, Mexico (Pisces: Cyprinodontidae). Copeia, (2): 383, figs. 1 A-B, 2. Type locality: Manantial Baño de San Ignacio, near Linares, San Fernando basin, Nuevo León, Mexico. 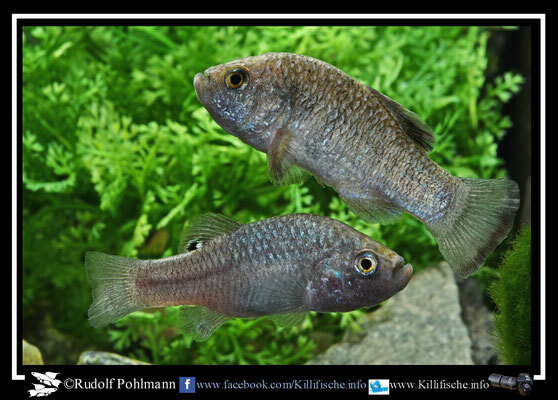 An annotated List of the Cyprinodont Fishes of Hispaniola, with Descriptions of two new Species. Zoologica (New York), 19 (3): 303. Type locality: Étang Saumâtre, Haïti, West Indies. Description of new Species of Fishes collected by Mr. John H. Clark, on the U.S. and Mexican Boundary Survey under Lt. Col. Jus. D. Graham. Proc. Acad. Nat. Sci. Philad., 6: 389. Type locality: Leon springs, ca. 7 km north of Fort Stockton, Rio Grande del Norte, Pecos county, Texas state, U.S.A.
A remarkable species flock of Cyprinodon pupfishes endemic to San Salvador Island, Bahamas. Bulletin of the Peabody Museum of Natural History 54(2):231-240. Distribution: San Salvador Island, Bahamas. 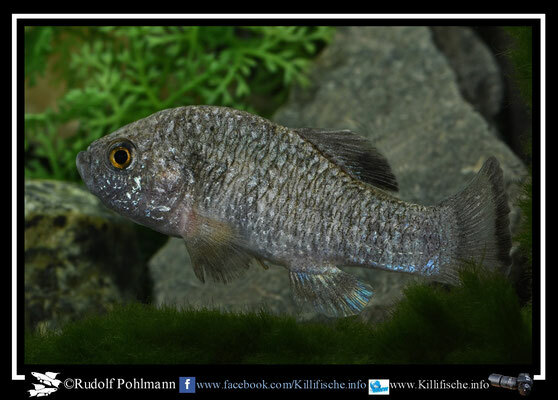 Four new Species of Cyprinodon from Southern Leon, Mexico, with a Key to the C. eximius Complex (Teleostei: Cyprinodontidae). Ichthyol. ExpIor. Freshwaters, 4 (4): 305, figs. 3d, 4c. Type locality: Ojo de Agua la Presa, at San Juan de Avilés, Aramberri, Nuevo León, interior basin of Llanos de Salas, Mexico, 1600 m altitude. New Species of Fish from tropical America. Field Columbian Mus. Zool. Ser. (Chicago Nat. Hist. Mus. Fieldiana Zool.) Publication, 132, 7 (7): 208. Type locality: 7 miles (11 km) west of Willemstad, Van Lier estate, Curaçao, Dutch West Indies, lower Caribbean archipelago. Biometrical Studies of some Races of Cyprinodont Fishes from the Death Valley Region, with the Description of Cyprinodon diabolis n. sp. Copeia: 68. Type locality: Devil's Hole, Ash Meadows, Nye county, Nevada state, U.S.A. Type locality: rio Grande del Norte (Comanche spring, near Fort Stockton, subseq. ), Texas, U.S.A. Description and Conservation Status of Cyprinodon macularius eremus, a new subspecies of Pupfish from Organ Pipe Cactus National Monument, Arizona. Copeia, (3): 596, figs. 3-4. Type locality: Quitobaquito, Organ Pipe Cactus National Monument, Pima county, Arizona, U.S.A., 332 m altitude. Cyprinodon esconditus, a new Pupfish from Laguna Chichancanab, Yucatan, Mexico (Cyprinodontidae). Cybium, 26 (4): 302, figs 3-4. Type locality: southem end of Laguna Chichancanab at its broadest part, Yucatan Peninsula, Quintana Roo, Mexico. Ichthyological notices. Proceedings of the Academy of Natural Sciences of Philadelphia v. 11 (nos. 60-77): 157-161. [Earliest distribution given as 18 October in Proc. Acad. Nat. Sci. Phila. v. 11:280 (1859) based on Aug. and Sept. issues (no specific information given for May and June issues). Distribution: Texas (U.S.A.) and northern Mexico. 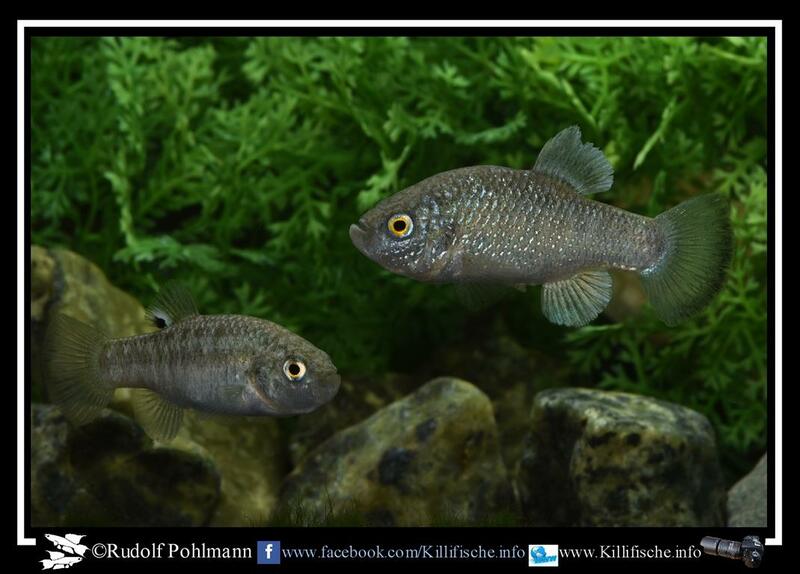 Systematics and Variation of a new Cyprinodontid Fish, Cyprinodon fontinalis, from Chihuahua, Mexico. Proc. Biol. Soc. Wash., 93 (2): 405, fig. 1. Type locality: Ojo de Carbonera, about 36 airline km west of Villa Ahumada, Chihuahua state, Mexico. 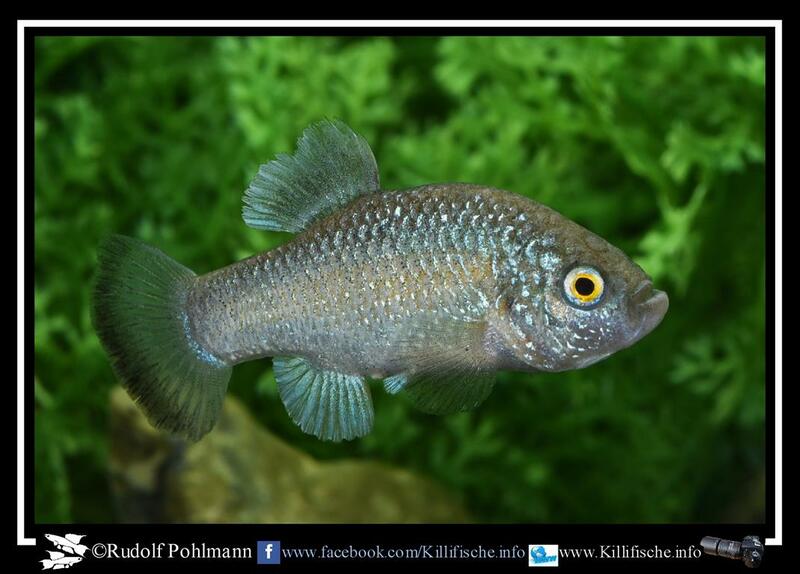 Cyprinodon fontinalis "MX Ojo del Apache"
Systematics of Cyprinodon higuey n.sp. and Cyp. jamaicensis Fowler from the greater Antilles (Teleostei: Cyprinodontiformes). Amer. Mus. Novitates, 2990: 3, figs. 2-4. Type locality: laguna de Bávaro, at village of Cabeza de Toro, Altagracia province, Santo Domingo. A new Species of Cyprinodon from Lake Eustis, Florida. Copeia, (3): 160. Type locality: lake Eustis, southwestern shore, Lake county, Florida, U.S.A.
Four new Species of Cyprinodon from Southern Leon, Mexico, with a Key to the C. eximius Complex (Teleostei: Cyprinodontidae). Ichthyol. ExpIor. Freshwaters, 4 (4): 299, fig. 3b. Type locality: Ojo La Trinidad, interior basin of Llanos de Salas, Aramberri, Nuevo León, Mexico. Checklist of freshwater fishes of North America, including subspecies and undescribed forms. Distribution: Thermal spring, Rio Conchos Basin, Chihuahua, Mexico. A remarkable Species Flock of Pupfishes, Genus Cyprinodon, from Yucatan, Mexico. 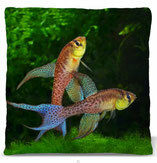 Copeia: 55, figs. 3C, 4A, 5C. Type locality: laguna Chichancanab, in lagoon at southern end on northern side of highway 184, Yucatán, Mexico. Studies of Fishes of the Order Cyprinodontes. XVIII. Cyprinodon laciniatus, new Species, from the Bahamas. Occasional Papers Mus. Zool. Univ. Mich., 458: 5, figs. 1A, C, E ; pl. 1. Type locality: lake Cunningham, New Providence island, Bahamas. 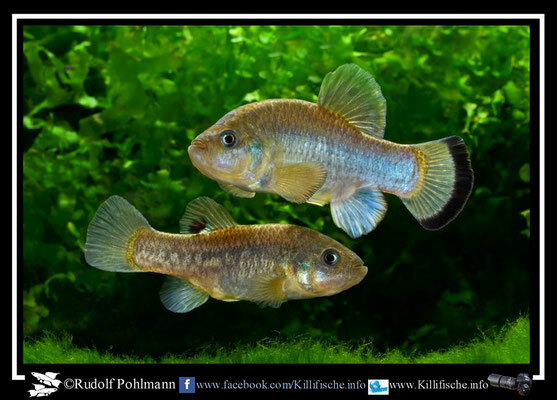 Four new Species of Cyprinodon from Southern Leon, Mexico, with a Key to the C. eximius Complex (Teleostei: Cyprinodontidae). Ichthyol. ExpIor. Freshwaters, 4 (4): 297, figs. 3a, 4a. Type locality: Charco La Palma, interior basin of Llanos de Salas, Aramberri, Nuevo León, Mexico. 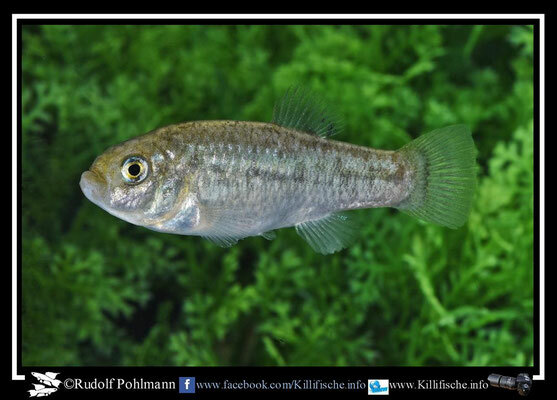 Four new Pupfishes of the genus Cyprinodon from Mexico, with a Key to the C. eximius complex. Bull. Southern Calif. Acad. Sci., 75: 74, fig. 1F. Type locality: El Ojo de la Hacienda Dolores, 12.5 km south southwest of Jiménez, Chihuahua, Mexico, 1405 m altitude. Type locality: tributary to Gila river (rio San Pedro, subseq. ), Arizona, U.S.A.
Copeia: 55, figs. 2B, 3B, 5B. 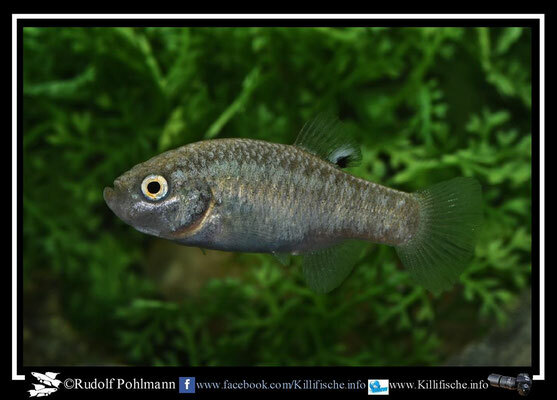 Four new Pupfishes of the genus Cyprinodon from Mexico, with a Key to the C. eximius complex. Bull. Southern Calif. Acad. Sci., 75: 73, fig. 1E. Type locality: tributary to río del Tunal, ca. 9 km east of Durango city, Durango state, Mexico, ca. 1880 m altitude. Bull. Southern Calif. Acad. Sci., 75: 72, fig. 1C. Type locality: río Nazas near its mouth at San Miguel, near edge of laguna Mayrán, Coahuila, Mexico, 1093 m altitude. 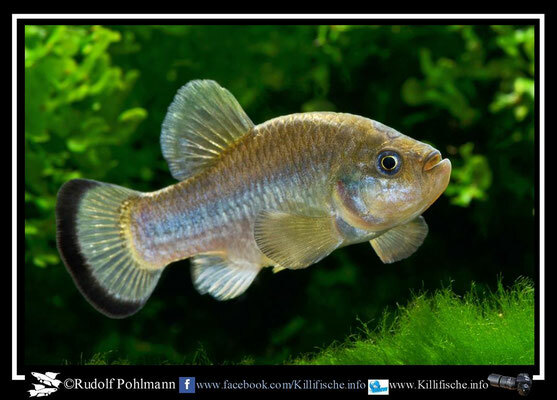 Description of a new Species of Cyprinodon. Calif. Acad. Sci., 2 (1): 270. Type locality: Saratoga springs, south arm of Death Valley, San Bernardino county, (erroneously Nevada) California state, U.S.A. The Cyprinodont Fishes of the Death Valley System of Eastern California and Southwestern Nevada. Misc. Papers Mus. Zool. Univ. Michigan, 68: 28, pl. 3. Type locality: Amargosa river near Acme, San Bernardino County, California, U.S.A. The Cyprinodont Fishes of the Death Valley System of Eastern California and Southwestern Nevada. Misc. Papers Mus. Zool. Univ. Michigan, 68: 36. Type locality: South Tecopa Hot Spring, 1/4-1/2 mile (400-800 m) below spring source, Inyo County, Nevada, U.S.A. 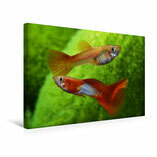 The Cyprinodont Fishes of the Death Valley System of Eastern California and Southwestern Nevada. Misc. Papers Mus. Zool. Univ. Michigan, 68: 58, pl. 6. Type locality: below Lovell's spring, Ash Meadows, Nye County, Nevada, U.S.A. The Cyprinodont Fishes of the Death Valley System of Eastern California and Southwestern Nevada. Misc. Papers Mus. Zool. Univ. Michigan, 68: 39, pl. 4. Type locality: Shoshone spring, near Shoshone, Inyo County, California, U.S.A. The Cyprinodont Fishes of the Death Valley System of Eastern California and Southwestern Nevada. Misc. Papers Mus. Zool. Univ. Michigan, 68: 44, pl. 5. 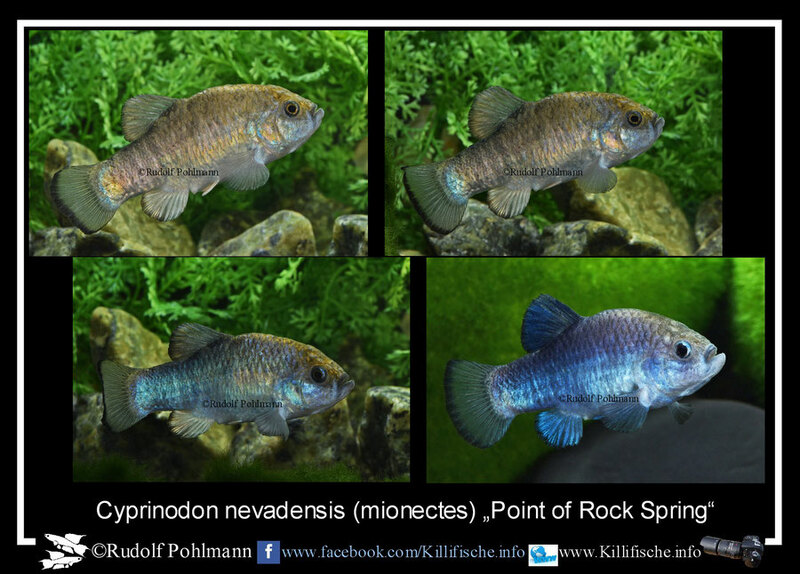 Type locality: Big spring, north-central Ash Meadows, Nye County, Nevada, U.S.A.
Cyprinodon nevadensis mionectes "Point of Rock Spring"
Cyprinodon nichollsi, a new Pupfish from Hispaniola, and Species Characteristics of C. bondi Myers (Teleostei: Cyprinodontiformes). Amer. Mus. Novitates, 2953: 3, fig. 1. Type locality: laguna de Oviedo, 4 km east of Oviedo on road 44, Jaragua National park, Santo Domingo. 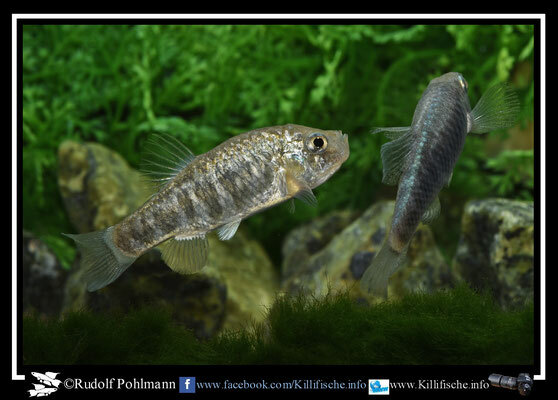 Cyprinodon pachycephalus, a new Species of Pupfish (Cyprinodontidae) from the Chihuahuan Desert of Northern Mexico. Copeia, (1): 184, figs. 1-2. Type locality: Baños de San Diego, 57 airline km east of Chihuahua city, Mexico, ca. 1140 m altitude. The Pecos River Pupfish, Cyprinodon pecosensis n. sp., with Comments on its Evolutionary origin. Copeia: 573, figs. 2-3. Type locality: Oxbow of Pecos river at Bitter Lake National Wildlife Refuge, 11.6 km east and 8 km north of Roswell, Chaves County, New Mexico, U.S.A.
Three new Pupfish Species, Cyprinodon (Teleostei, Cyprinodontidae), from Chihuahua, Mexico, and Arizona, USA. Copeia, (3): 687, figs. 1-2. Type locality: Ojo de Palomas Viejo (today dried out), 5.2 km S. Las Palomas, Chihuahua state, (northern) Mexico. The Cyprinodont Fishes of the Death Valley System of Eastern California and Southwestern Nevada. Misc. Papers Mus. Zool. Univ. Michigan, 68: 87, pl. 9. Type locality: northwestern spring-feeder of Fish Slough, ca. 10 miles north of Bishop, Mono County, California, U.S.A.
Poissons de Cuba, Espèces nouvelles. Mem. Hist. Nat. Isla de Cuba, Havana., vol. 2 art. 49: 306. Type locality: Havana (today Habana), Cuba. Notes on Fishes of the Orders Haplomi and Microcyprini. Proc. Acad. Nat. Sci. Philad., 68: 430, fig. 4. Type locality: rio Brazos, between Seymour and Authon, Texas, U.S.A.
Cyprinodon salinus, a new Species of Fish from Death Valley, California. Copeia: 69, fig. 1, pl. 1. 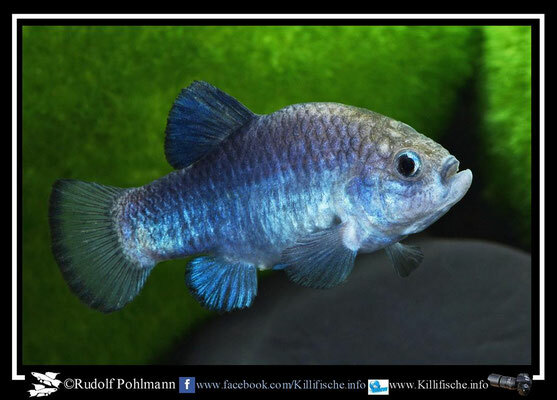 Type locality: Salt creek, Death Valley, Inyo County, California, U.S.A.
Cyprinodon milleri, a new Species of Pupfish (Family Cyprinodontidae) from Death Valley, California. Copeia: 769, fig. Type locality: Cottonball Marsh, Death Valley National Monument, Inyo County, California, U.S.A.
Cyprinodon salvadori, new species from the upper Rio Conchos, Chihuahua, México, with a revised Key to the C. eximius Complex (Pisces, Teleostei: Cyprinodontidae). Libro Jubilar en Honor al Dr. Salvador Contreras Balderas, Dirección de Publicaciones, Universidad Autónoma de Nuevo León, Monterrey, México: 17, figs. 2a-b. Type locality: 15.3 km before entry of Carichic, San Juanito, Rio Santa Rosa, Bocochic, Chihuahua state, (northern) Mexico. 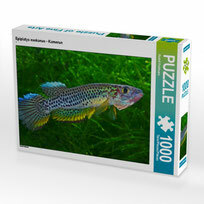 Copeia: 60, figs. 3D, 4B, 5D. 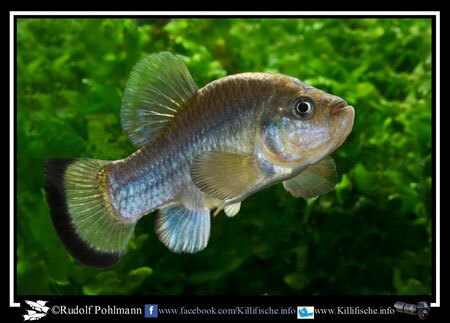 Description of a new species from Laguna Chichancanab, Yucatan, Mexico: Cyprinodon suavium (Pisces: Cyprinodontidae). Hydrobiologia, 541: 109, figs. 2-3. Type locality: dead end of road from Rancho Santa Cruz, Yucatan, Quintana Roo, (southeastern) Mexico. Cyprinodon tularosa, a new Cyprinodontid Fish from the Tularosa Basin, New Mexico. Southwest. Nat., 19 (4): 366, fig. 1. Type locality: Malpais spring, ca. 26 km west-southwest of Three Rivers, Otero County, Tularosa basin, New Mexico, U.S.A., ca. 1275 m altitude. Histoire Naturelle des Poissons. Plassan Ed., Paris, 5: 486, 487, pl. 15 (fig. 1). An annotated List of Fishes from Lake Forsyth, Andros Island, Bahamas, with the Descriptions of three new Forms. Amer. Mus. Novitates, 551: 1, fig. 1. Type locality: lake Forsyth, Andros island, Bahamas. The Fishes of New York, described and arranged. Trans. Lit. Phil. Soc. New York, 1 (5): 441, pl. 4 (fig. 7). 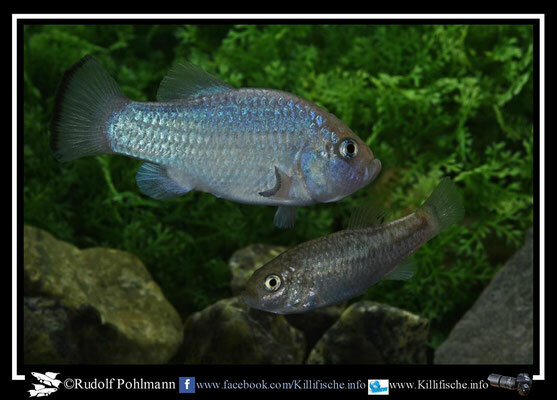 Type locality: New York (New York state), U.S.A.
Fishes of the Yucatan Peninsula. Carnegie Inst. Wash. Pub., 457: 223, pl. 6. Type locality: surroundings of Progreso, Yucatán, Mexico. Cyprinodon verecundus n. 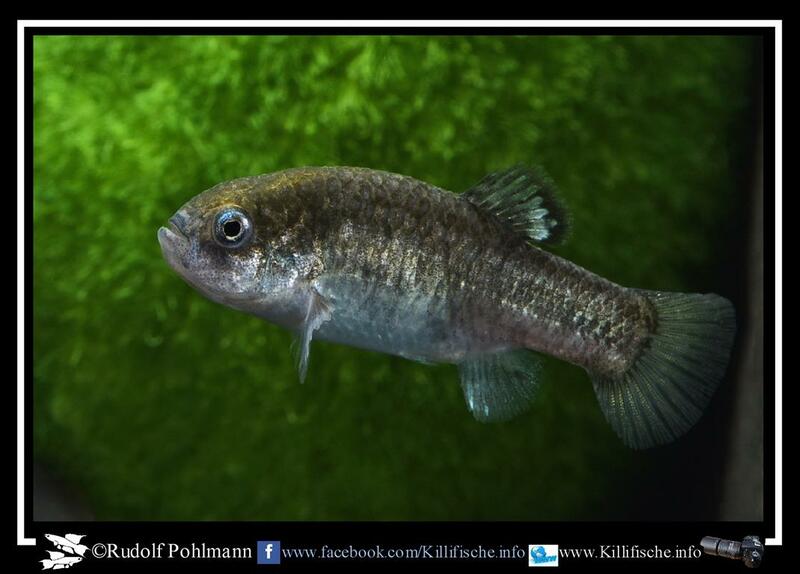 sp., a fifth Species of Pupfish from Laguna Chichancanab. Copeia: 62, fig. 2. Type locality: laguna Chichancanab, ca. 3.6 km from northern end of basin, Yucatán, Mexico. 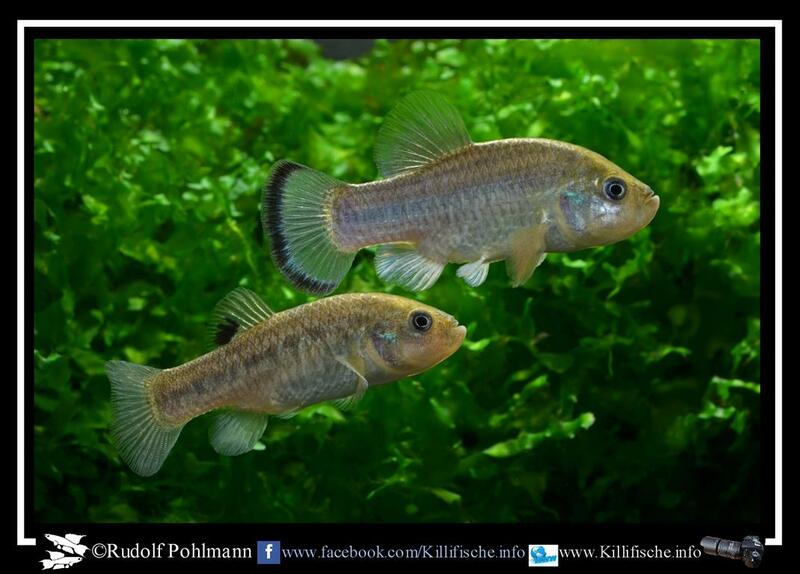 Four new species of Cyprinodon from southern Nuevo León, Mexico, with a key to the C. eximius complex (Teleostei: Cyprinodontidae). Ichthyological Exploration of Freshwaters v. 4 (no. 4): 295-308. Distribution: Ojo de Agua Charco Azul, Mexico. 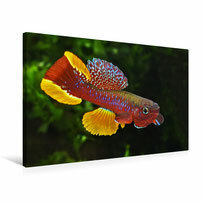 Cyprinodon veronicae "MEX Aramberri Charco Azul"